What is a reverse forecast bet? As we carry on with the Honest Betting Reviews series that breaks down and simplifies complicated betting jargon and types of bets to enable beginners to enjoy greater variety in their betting, we come to the reverse forecast bet. So what is a reverse forecast bet? You may well have heard of a straight forecast bet before, which is where you are looking to choose who will finish first and second in a race. As you might expect from that, this type of bet is usually reserved for horse racing and greyhound racing, but it can also be used in sports like football to predict the winners and runners-up in a league, for example. How do you place a reverse forecast bet? A reverse forecast is an easier bet to place than a straight forecast bet, as you just have to pick the top two finishers of a particular race or sporting event; you do not have to get the order right as long as both of your two choices finish in the top two, which definitely makes predicting the outcome easier if you are confident about who the top two competitors are, but find it difficult to pick one over the other. 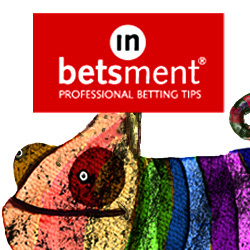 The other key difference between a reverse forecast bet and a straight forecast bet is that with the former it is actually two bets you will place as, in order for you to win no matter what order your two selections finish in, you need to place two straight forecast bets – one on each possible outcome. When should you place a reverse forecast bet? If you were betting on horse racing, and you think horse X and horse Y will finish first and second, but you cannot predict which will finish first and which will finish second, you place a straight forecast on horse X finishing first and horse Y finishing second, and a second straight forecast on horse Y being victorious and horse X following up. The reverse forecast bet has elements of the each way bet to it, as you are placing an extra bet to cover you if your first selection comes in second instead. Placing a reverse forecast bet costs double what placing on a straight forecast bet does, but has the added benefit of covering two outcomes. Most bookmakers offer reverse forecast bets alongside straight forecast bets – in most cases you simply choose ‘straight forecast’ or ‘reverse forecast’ on your betting slip. You can also place what is called a tricast bet, where another selection is thrown into the mix, so forecast bets are not confined to just straight forecast bets and reverse forecast bets. Hopefully this guide has opened up another door to the world of betting for you, and helped you discover greater possibilities when it comes to making wagers. If you are after more simple yet comprehensive explanation of betting terms and types of bet, check out the other Honest Betting Reviews guides that break down betting jargon for your reading – and gambling – pleasure. Fancy making up to £500 per month tax free? Then check out Profit Maximiser, our number one recommended betting system, here. What is a Tricast Bet? Golf Forecast – Final Review Patent Bet What is a Canadian Bet?